What Is A “Personalized Website Experience”? Pictured: Personalization in one of the most common and easily identifiable forms. While this is a great use of personalization, a “personalized website experience” goes much deeper than a name. A true personalized website is one that provides an online shopping experience that adapts for each shopper’s specific needs. 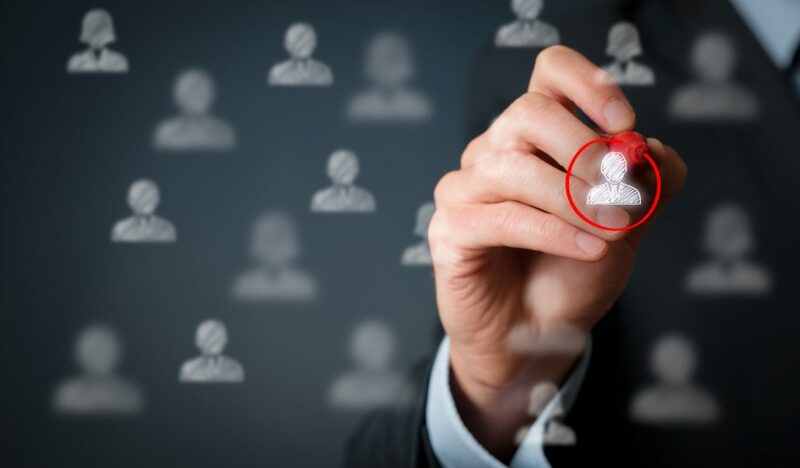 At its heart, personalization is about customer-centricity. Personalizing your online vehicle shopping experience is an investment in CX. Here’s exactly how personalization improves your customer experience – and boosts your profits. The essence of personalization online is in creating an experience that fits the shopper’s specific needs. From the beginning of the shopping experience to the very end, the website should feel as though it is actively supporting the shopper’s individual goal. Most website personalization doesn’t actually address these goals because they offer up very limited personalization in terms of addressing you by name or region. However, behavior-based targeting takes personalization to the next level by actually presenting options tailored to the car shopper based on their actions taken on site. In some ways, personalization “narrows” the shopping experience, but that isn’t a bad thing. In fact, it is part of the intent of personalization. Ever heard the expression “spoiled for choice?” It’s a colloquial saying that highlights our odd tendency to waver on our decisions when presented with lots of choices. Logically, the more options we have, the better choice we can make – because we can find an option that exactly fits our needs. For most people, however, that’s not what happens. The theory is called the “paradox of choice”, and it means that a huge variety of options actually tends to make us more anxious about picking and less satisfied with our choice when we finally do decide. Personalization doesn’t necessarily remove options entirely (just because someone’s shopping behavior indicated they’re interested in trucks doesn’t mean they’re prohibited from buying a hybrid) but it does help shoppers eliminate unsatisfactory options much more quickly. So clearly shoppers benefit from a customer experience that is all about offering the best options for them, but what’s the benefit to dealers? When users are presented with excellent options for their needs, they’re less likely to look elsewhere, even if the price is more than they anticipated paying. In fact, 40% of consumers report that they’ve bought something more expensive than they planned because of personalization. With behavior-based targeting, dealerships can direct shoppers to the best possible optional vehicles for their specific situation, reducing the time that shoppers spend looking for the right vehicle and ensuring they see the best specific stock or most desirable deals you can offer. This advanced form of personalization is an excellent way to combat the paradox of choice and let shoppers depart your site (or your dealership) completely satisfied in their vehicular decision. The power to create uniquely helpful and relevant online customer experiences comes from utilizing a combination of CX research and behavioral targeting technology. CX research, like thoroughly-constructed buyer personas, can help you more effectively segment your audience and develop your online experience to help these shoppers. Behavior-based targeting technology achieves some remarkable feats of personalization. Machine learning drives the adaptability of the online shopping experience. Our own dealership websites use behavior-based targeting technology that learns from shopper behavior and adapts to the shopping actions taken to display the best coupons and incentives, highlight the shopper’s most desired vehicle attributes, and show site-wide offers for relevant dealership departments. The search result highlighted on a home page. The search result highlighted on an inventory page. Impulse buys are often associated with mistakes, buyers remorse, and awkward household conversations, but the trick is realizing they don’t have to be. Impulse buying can be a good thing, when the impulse is a good one and the product available is helpful to that shopper. Personalized shopping experiences can serve as a convenient inspiration or reminder, while at the same time providing the answer to that newly created (or remembered) need. This subtle personalization is aimed at helping the shopper have the most fulfilling shopping experience possible. 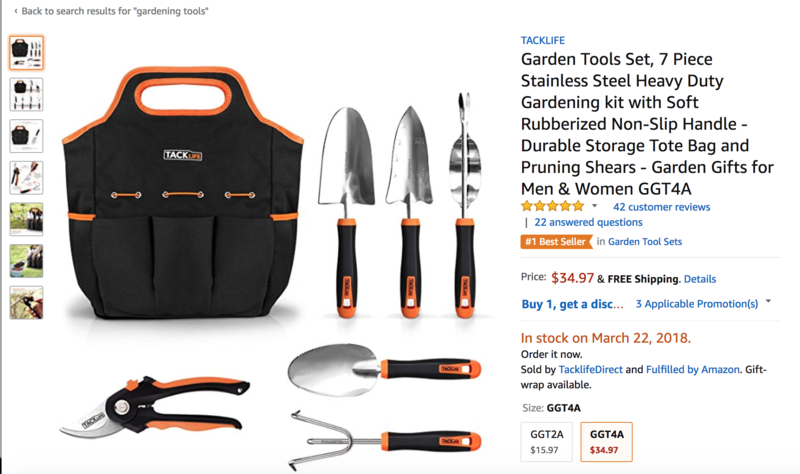 Amazon, like an attentive store clerk, assumes that if I’m buying this gardening kit (as either a gift or for myself), I might also need to buy a pair of gardening gloves, and offers a commonly purchased pair to me. In this situation, the customer experience is actually more fulfilling than the shopper’s highest expectations. They expected to purchase a kit of gardening tools, what they got (even though it cost slightly more money) was an experience that helps them (or the recipient of the gift) prepare even more effectively for their gardening adventures. Not only do they have what they came for, but the site has made it possible for them to avoid a future “Dang it! I don’t have any gloves!” moment. In cases of personalization like this, it’s likely that even if the shopper doesn’t take the suggestion to buy the added-on product, the helpfulness of the suggestion outweighs any annoyance from the minor interruption. In fact, the customer might make a note of your business’ helpful suggestions and possible even act on one of these suggestions in the future. In a study by Segment, it was revealed that 49% of customers buy items they did not intend to buy due to a personalized recommendation. Legitimate, helpful, and personalized recommendations (particularly if they help the shopper prevent frustration later) aren’t greeted with the traditional skepticism and regret that most impulse buys are. If you’re looking for a way to boost sales of add-ons and extra packages, you should seriously consider leveraging personalization to work for you. Dealerships might not have the same type of impulse buys that other types of retail can get away with. We probably wouldn’t recommend having a candy bar display in your finance department, for example. But dealerships do have a fantastic opportunity to use personalization to capitalize their already exceptional ability to upsell. Using behavior based targeting, your website can anticipate the wants and needs of your shoppers and offer up unique and attractive additions, financing, or promotions that encourage spending that little bit of extra money. A few ways to do this are to display dynamic vehicle features, and add sections on your VDPs that highlight the optional extras and packages for vehicles. This can help shoppers pick based on the availability of features they want (or didn’t even know they wanted till they saw). Personalization rides a thin line. There’s convenient – like a vehicle description updating to show the feature you wanted, and there’s creepy, like a chat-bot knowing your name the first time you interact with a company online. Even if that information was obtained in a legitimate way, it immediately sets off alarm bells, like walking into a store you’ve never been to and having the clerk call you by your name. When done well, however, personalization can be a source of trust and comfort for shoppers. Audible. We’ve used Audible as an example before, in our guide to Car Marketing in the Age of Digital Retail, and we have no problem using it again. It’s that good. This use of behavioral targeting is about is about finding me (the user) the books that I’ll love listening to. It works really well. Often, even after browsing for a long time, I end up picking books that were in the Audible recommendations for me. Audible’s personalization is sophisticated enough that I feel like the service knows my tastes. I trust them to be a great source for finding (and listening to) my next favorite book. Sure, there are other places to get audiobooks, and probably for cheaper, but Audible’s personalization is so helpful, they’ve won me over. When a website gets personalization right, it creates comfortable, delighted customers who are happy to return. That’s correct. Personalizing your online experience means more loyal customers. In fact, 44% of customer say they’re likely to repeat a personalized shopping experience. As dealers know, loyal customers are enormously valuable and notoriously difficult to earn in the dealership world. For one thing, loyal customers are a source of referrals and positive word of mouth, both sources of high-converting leads. If your dealership is striving to make customer loyalty a priority in the future, personalization of your online shopping experience is a fantastic place to begin. We’re die-hard proponents of customer centricity, and what could be a better example of customer centricity online than using behavioral targeting to create engaging and uniquely relevant website experiences? 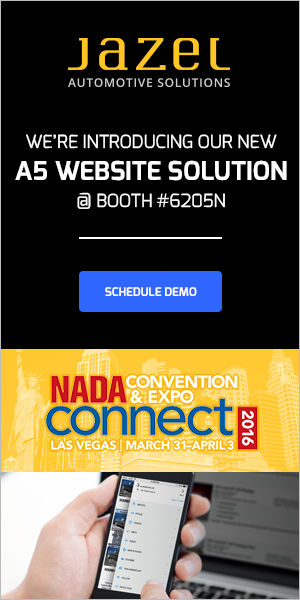 From behavior-based dynamic content, to helpful reminders, personalization on your website acts like an excellent salesperson – curating information, offering uniquely appropriate options, making truly helpful suggestions, earning the shoppers trust, and at the end of it all, generating sales for your dealership. Get the latest dealership marketing tips, strategies, and insights delivered straight to your inbox. Subscribe For More Tips And Insights! ​Your information is 100% private. We'll never share it. Get Weekly Dealership Marketing Insights! Enjoying this read? Subscribe to the Jazel Auto newsletter for the latest dealership marketing tips, strategies, and insights delivered straight to your inbox.